The saber was the weapon of the soldiers and dueling heroes here in the Carpathian Basin for more than a thousand years. During this time it became more than a simple tool of fighting. It became a loyal companion and a symbol of valor of the wielder. This weapon and the valiant spirit of its wielders became known in Western Europe and North American via Hungarians. At the time of our settlement Western Europe feared the sight of the saber, it became a worthy opponent of the Turkish and later, after the civil war of Rákóczi it brought us honor in the wars fought at the side of foreign countries. Maybe there is no other sword type like this which reserved its significance for so long time. The saber is not only an antique weapon of a past era, but much like a sports tool as a foil which is used at the Olympic Games. This book contains an elaborated practical curriculum. 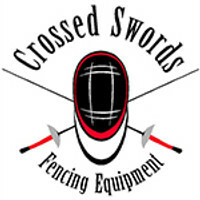 With the help of it, the saber fencing can be learned from the basics to master level. The book guides the reader through hundreds of exercises with the help of more than a hundred photographic illustrations. These can help anyone to learn the basic moves, the more complex exercises and even the trick-cuts or disarmament. We prove with this book that the saber fencing is a living sport and martial art.